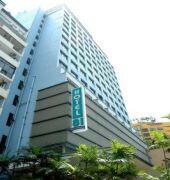 Hotel 81 Bencoolen, is a 215 rooms hotel located along Bencoolen Street, in between Orchard Road Singapore's premier shopping belt) and Raffles Place the Central Business District. Within walking distance, one can reach Singapore National Museum, Singapore Art Museum, shopping malls and ethnic district - Little India. All guest rooms featured WIFI Internet access, free local calls and most amenities that one would need for a comfortable stay. 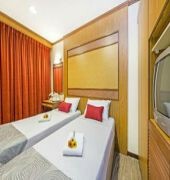 The HOTEL 81 BENCOOLEN is a Tourist, Leisure hotel. Located in City Centre - Bencoolen/Little India area. Shopping is within walking distance and the nightlife/restaurants are within walking distance from the hotel. 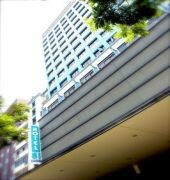 Descriptionclass="small" style="text-align: justify; font-size:11px;">Hotel 81 Bencoolen, is a 215 rooms hotel located along Bencoolen Street, in between Orchard Road Singapore's premier shopping belt) and Raffles Place the Central Business District. Within walking distance, one can reach Singapore National Museum, Singapore Art Museum, shopping malls and ethnic district - Little India. 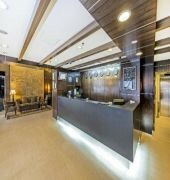 All guest rooms featured WIFI Internet access, free local calls and most amenities that one would need for a comfortable stay.